Do you have a deep love for yoga? 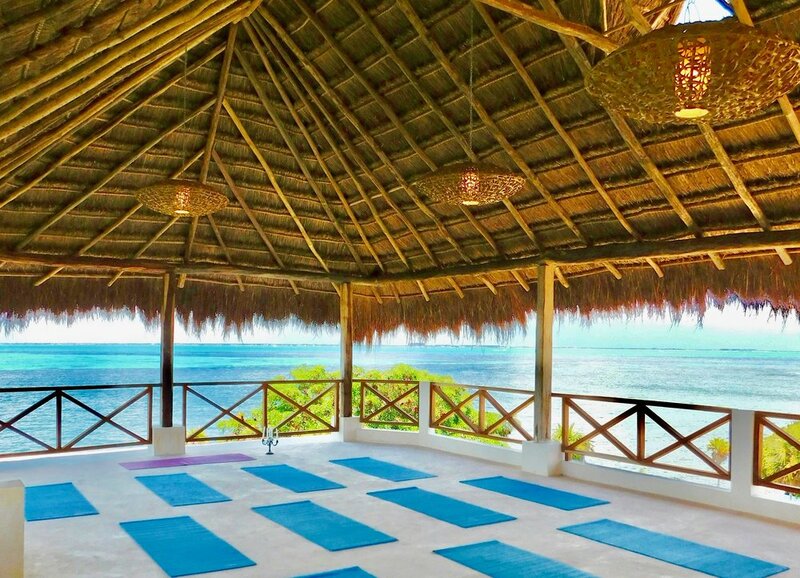 Can you envision immersing yourself in the lifestyle, teachings and practices of yoga with likeminded people? Have you dreamt of taking your practice to the next level, and sharing your deep love of yoga with others as a career? - We honor our connection with nature and mother earth. We approach yoga as a means of exploring and deepening this connection. - We understand that the learning process is not linear. Our teaching model incorporates group discussion, hands-on experimentation, experiential learning, and instructor support and feedback. - We value the student learning process as both somatic and intellectual, offering rest and/or movement breaks throughout the day to encourage integration of the material. - We value spiritual growth and personal development as a part of our YTT experience. While this is an intensive learning environment, it is also an opportunity to be impacted by yoga on a deep level. - We emphasize safe and accurate anatomical cueing to support the longevity of your and your students' practices. - We encourage modifications, adaptations, and the use of props to share yoga with all body types and needs. Bio-Kaity Rose, C-IAYT is the founder of Wild Earth Yoga Therapy and owner of LC Yoga. Kaity helps women heal from anxiety, pain, and trauma. 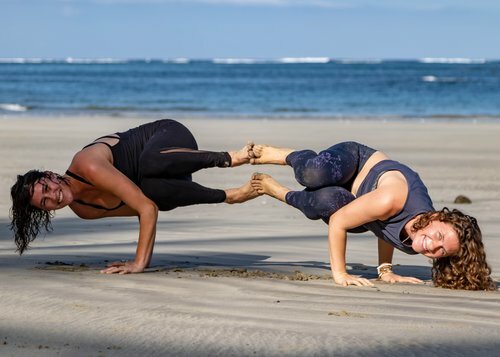 Kaity offers global yoga retreats, teacher trainings, and Yoga Therapy sessions in addition to her workshops and classes. She specializes in trauma-informed yoga therapy, yoga for stress resiliency and anxiety, and functional movement therapy. She thrives working with special populations, such as seniors, trauma survivors, or those who struggle with mental health (anxiety, borderline personality disorder, bipolar, depression, and so on). Bios - Sierra is passionate about healing through the mindbody connection. Her initial training was in dance starting at the age of 7 years old, she went on to study at Walnut Hill School for the Arts and Boston Conservatory. She continues to perform to this day. Sierra’s curiosity of the mindbody connection formed early in her dance training when she realized the power of movement on her mental wellbeing. She became a certified personal trainer in 2012 and earned her Yoga Teacher Training certification through Yoga Tree of San Francisco in 2015. After years of working one-on-one and teaching class, Sierra has adopted a holistic approach to wellness and became a certified nutrition coach in 2018. Sierra is currently studying psychology with the dream of opening a holistic wellness center for mindbody healing. Teaching yoga brings Sierra incredible joy and gratitude. She believes that the body is a powerful vessel for healing mentally and physically and has used yoga to overcome difficult times throughout her life. Yoga allows her to be grounded, centered and strong while maintaining peace of mind through an often chaotic life. Born in Seattle and now based in Brooklyn, Hannah comes from a rich dance background and received her BFA in Dance from Boston Conservatory. She fell in love with yoga after going through a hard time. She found herself, after yet another unsuccessful audition, in a yoga studio where she had a transformative experience. Linking her breath with movement helped her to feel calm, grounded and shed some of her anxiety. Even after many years of dancing, exercising all the time, and improving what she "looked" like, her mental health was suffering. Yoga, and meditation have helped her overcome some of those challenges, breathe and enjoy life more fully. She received her 200 hr from Laughing Lotus Yoga Studio where she has taken additional trainings in Ayurveda and Super Sequencing and is on her way to completing her 500hr. Hannah is a lover of all types of movement and energy and has taken courses in Body Mind Centering, Qi Gong and received her Reiki Level 1 + 2 Certification. She is excited to be on this path of mindfulness and wellness and can't believe this dream of hosting a yoga retreat is coming true! My name is Danny Jones and I am an online personal trainer. From a very young age I was involved in athletics and I loved everything about sports. I grew up in a small town in Southern California where there wasn't much to do, so sports was a "no-brainer". Most of my success came from basketball, where I stood out in high school and received a full-ride scholarship to Biola University in Orange County, California. During my time there, I ran so much in practice and games that I was able to eat anything and everything I wanted. It wasn't until later, when I finished playing competitively, that it started to catch up to me. I continued to eat the way I had previously eaten, but was not exercising nearly as much as I was before. I began gaining weight and before I knew it, I was almost 300lbs! I knew it was time for a change. I began to work out religiously and dedicated at least 2 hours a day to exercise and workouts. I saw my body changing and had lost about 20lbs in a couple months. Despite all of this, I still wasn't happy with the progress I had made and wasn't content with how I looked. Later that year, I was hired at the Fire Department in my hometown. I became an EMT and began to get a grasp on how the body worked and functioned. I was interested in what I was learning and was hungry to learn more. I went on to study nutrition and how different foods affect the human body in different ways. During 2 years of studying, I had gradually applied the techniques and knowledge I had gained in my studies to my own life and, before I knew it, I had transformed my body! I am a firm believer that ANYONE can make the same change that I did and become the best version of themselves. All it takes is the initial thought and desire to make the change and a plan to put that change into action. No matter what your goals or dreams are, I am 100% confident that I can help you make a plan to reach them! I hope you take the next step and choose me as your trainer. Together we can make you healthy, fit, and-most important-the best version of yourself that you can be!